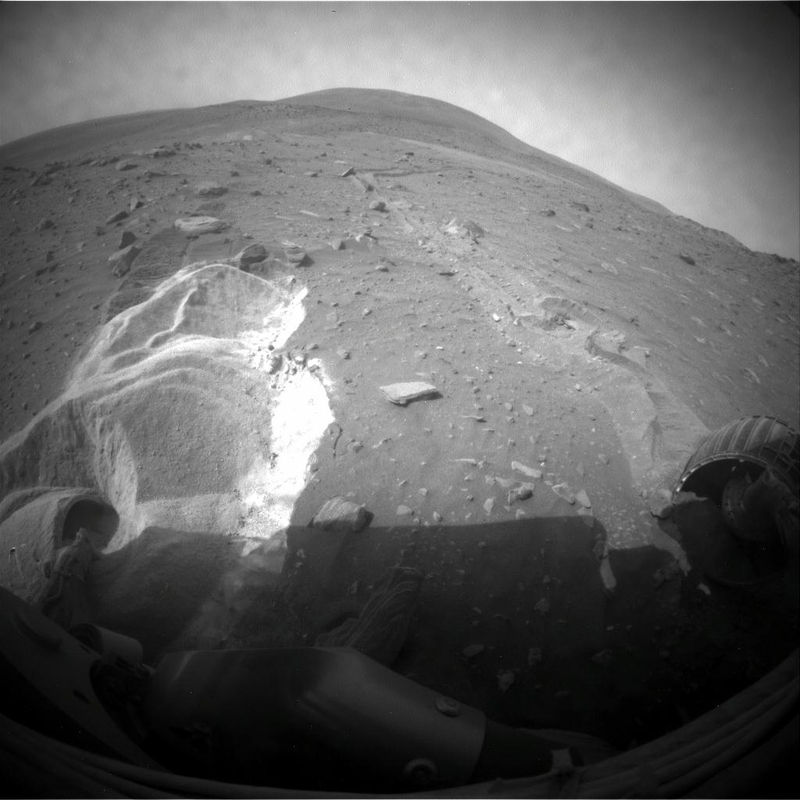 Mars Exploration Rover Spirit is in trouble again. She’s stuck. The tenacious little robot has suffered traction problems before and has even been dragging around a broken wheel for the last three years, leaving the other five to take up the slack. Then there’s the dust storms that have hindered the life-giving solar panels ability to collect sunlight. And most recently, the on-board computers have been rebooting and Spirit’s flash memory has been forgetting to record data. At JPL, a team have been assembled to try to find a solution to the problem with a model of the situation here on Earth. Unfortunately the wheels are stuck fast, half-buried, and scientists are increasingly worried that any attempts to free the struggling rover could make matters worse. The concern is for the chassis under the robot. Should it make contact with the rocks underneath, it would effectively beach itself, completely losing traction that could be used to free the wheels. 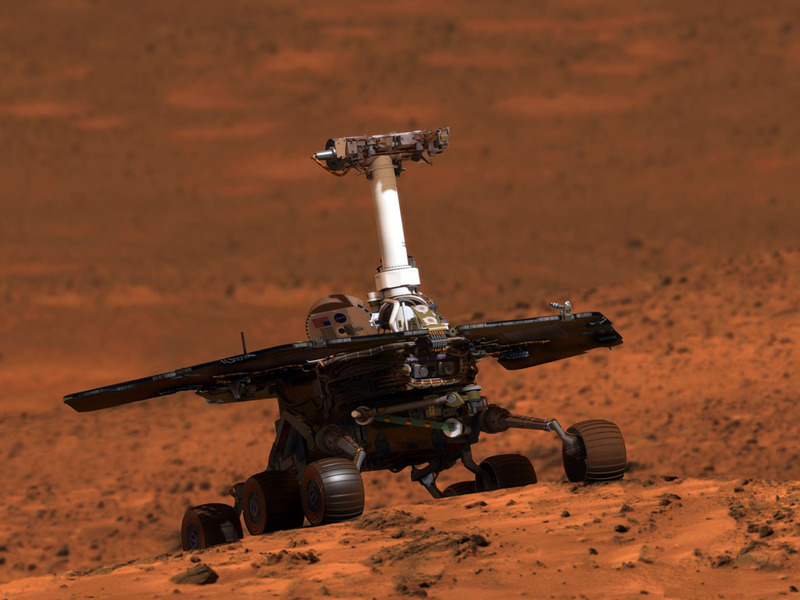 In short, the situation is not good, but NASA is working overtime to find ways to get the rover on the road once more.